WASHINGTON -- U.S. President Donald Trump said Tuesday that parts of the federal government will stay closed until Democrats agree to put up more walls along the U.S.-Mexico border to deter criminal elements. He said he's open to calling the wall something else as long as he ends up with an actual wall. 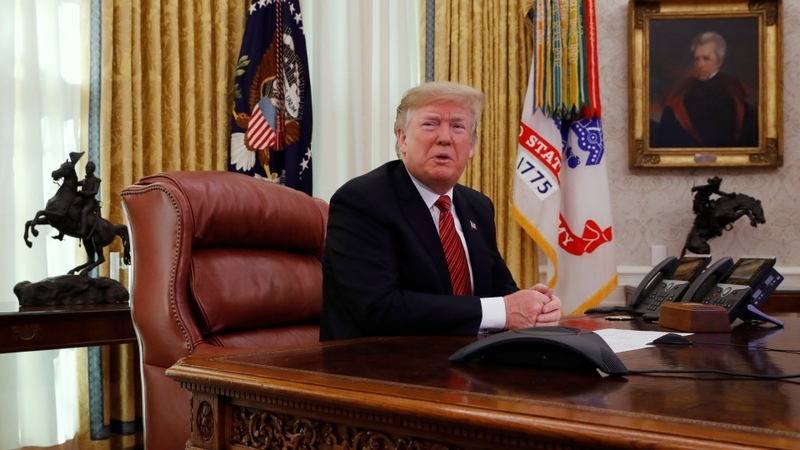 In a Christmas Day appearance in the Oval Office, Trump issued a lengthy defence of his desire for a wall, saying it's the only way to stop drugs and human traffickers from entering the country. In a nod to the political stakes he's facing, Trump said he wants the wall by "election time" in 2020. He did say he envisions a wall so tall, "like a three-story building," that only an Olympic champion would be able to scale it. He also compared Democrats' treatment of him over the wall to their defence of James Comey after Trump fired him as FBI director.